Lilli adoro il cappello, bellissimo il colore! Buon lunedì! Lilli tu sei adorabile nei tuoi look boho. So che ti piace molto, tanto quanto me perciò non posso che approvare. This is such a pretty look that really makes the best of autumn colors! You look so chic and beautiful! Happy new week Lilli! Che bel mix di colori e stampe hai creato, ti dona questo mattone e sei stilosissima!!! pretty nice outfit with this Cape. The color of it matches so good with your booties. And this amazing hat is the i Point of your Look. I love if you wear hats. And i also love your clode up picture of you. You look comfy and chic. Beautiful color and floral combination. Lilli questo outfit ti dona davvero molto. Ma... non sei più bionda??? Me ne sono accorta solo ora e mi piaci un sacco. HI Lilli, you look so Parisian chic. Love your brown cape. Enjoy the Fall weather. A layer has always seemed a super versatile garment besides being ideal for low temperatures, yours has a color that you feel great, I loved your Lilli makeup well done! Happy start of week hun. This has to be one of my all time favourite look from you, Lilli! Stunning! Ma che bello questo outfit! 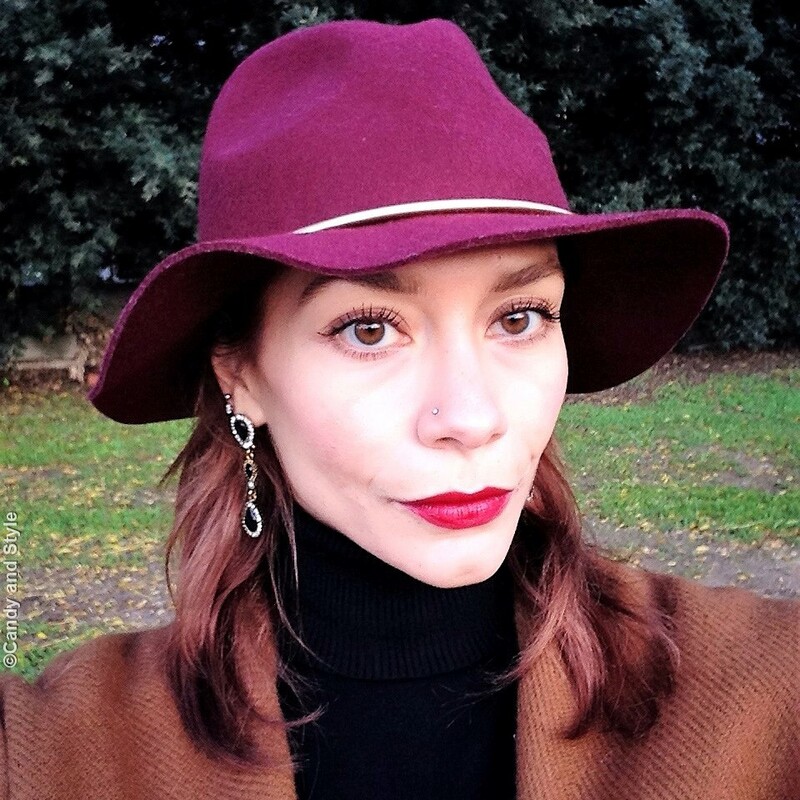 Sei splendida con questo cappello! 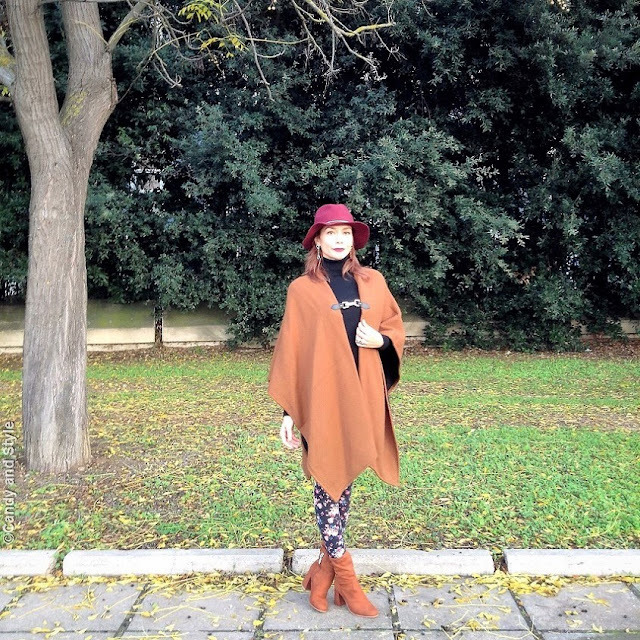 This is what a perfect fall outfit looks like dear Lilli! 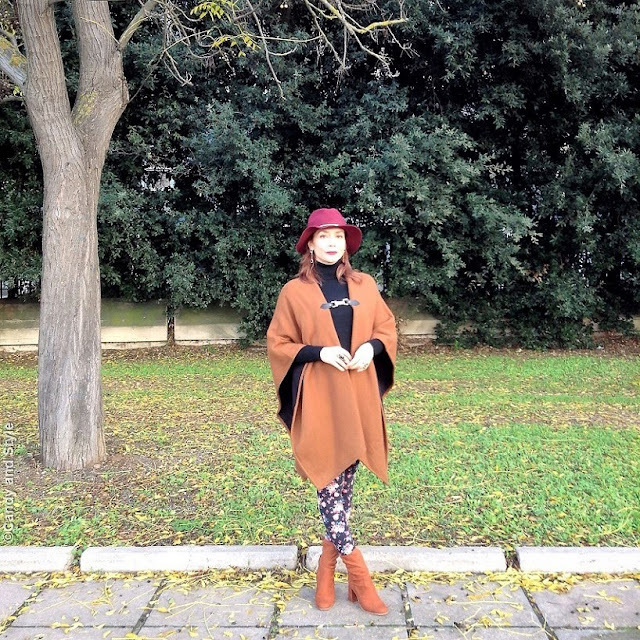 I am in love with every single piece you are wearing - starting from the fedora hat to the cozy cape! Beautiful styling as well! The cape looks great with the hat. Love the look on you.